The Reina Sofia School of Music is one of the best European Schools for specially gifted students who wish to become professional musicians. It was founded in 1991 by Paloma O’Shea as a highly professional training centre with a dual goal: supporting the development of very talented young musicians and bringing music closer to everyone. 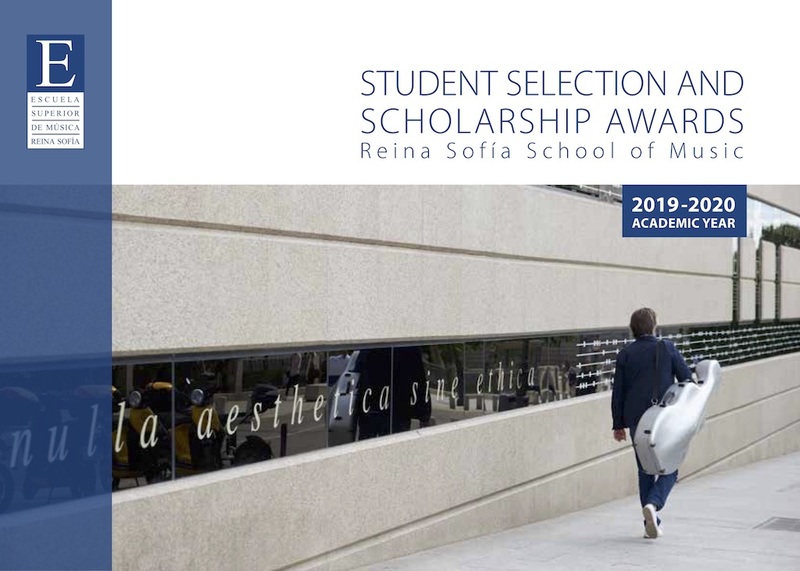 The Reina Sofía School was created with the support and advice of great maestros like Yehudi Menuhin, Mstislav Rostropovich, Alicia de Larrocha and Zubin Mehta, and enjoys the support of Her Majesty Queen Sofia as its Honorary President, as well as that of public and private institutions. Every year, 150 young musicians coming from more than 30 countries meet thebest teachers -more than 80- in a unique and inspiring building in the centre of Madrid. All of them are granted scholarships, so that any talented student may enter the School. The School organizes more than 300 concerts a year with more than 60.000 attendees, to give students the opportunity to mature on stage. Flute teacher is Jacques Zoon, principal flute of the Boston Symphony Orchestra, of the Mozart Orchestra and the Lucerne Festival Orchestra.